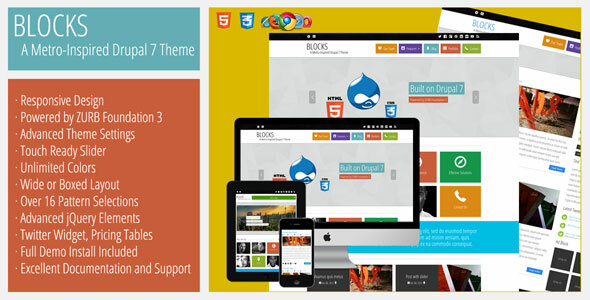 Blocks is a Metro-inspired, fully-responsive Drupal 7 theme powered by ZURB Foundation 3. It uses the latest in HTML5, CSS3 and advanced jQuery techniques to deliver a truly unique theme that will wow your audience. Blocks includes powerful theme settings that allow you to configure your site quickly and easily.